Henry Holt and Co. (BYR), 9780805093759, 40pp. 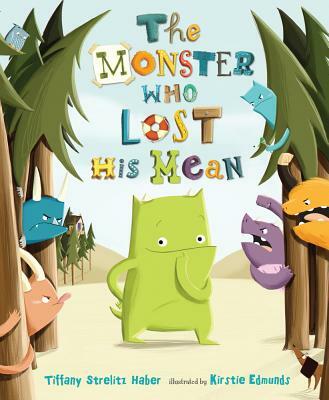 One young monster's attempts to live up to his name go hilariously awry as he discovers—with a little help from new friends—that it's not what you're called but who you are that counts. Tiffany Strelitz Haber has eaten fried bugs, jumped out of airplanes and lives for adventures. She grew up in NYC, but is now located in central NJ with her incredible husband and their two hilarious and amazing little boys. She is the author of The Monster Who Lost His Mean. Kirstie Edmunds, illustrator of The Monster Who Lost His Mean, lives near the woods with her husband, Jonathan, and their two tomato plants, Tom and Frank. She was born in Wales, the land of the red dragon, and moved to London to go to art school. Though she's never seen a monster, Kirstie loves to paint them.